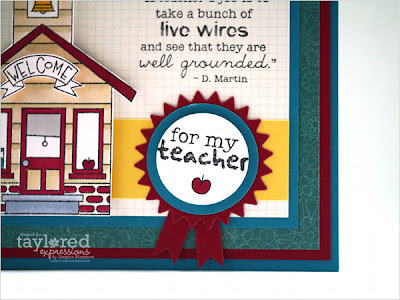 The Stampin' Bean: Live Wires & Happy Camping...TE Release Day! Live Wires & Happy Camping...TE Release Day! 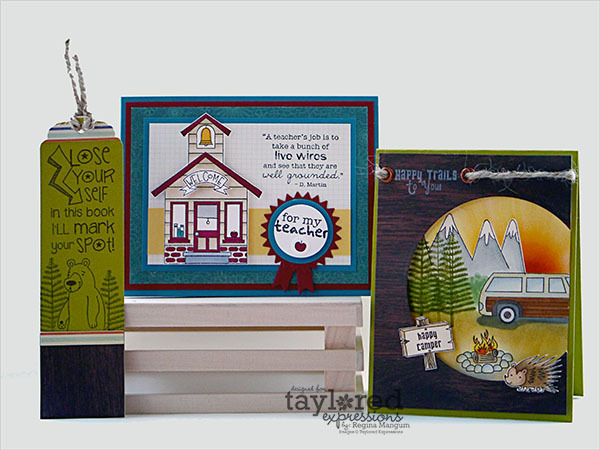 It's Release Day at Taylored Expressions! 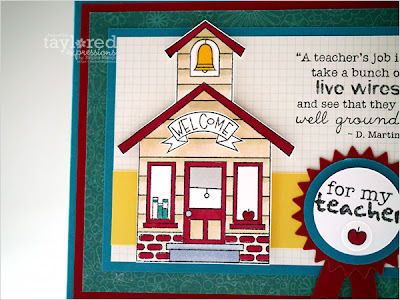 I have two fun projects to share with you today featuring some of TE's newest products and I can't wait to get started. I created these projects using the new Happy Trails, Little Schoolhouse (both from the brilliant mind of Jami Sibley, our fabulous Design Team Coordinator! 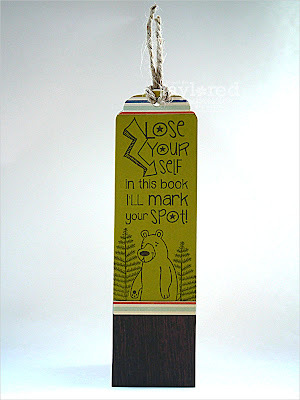 ), and the cool Mark Your Spot Bookmark Die. 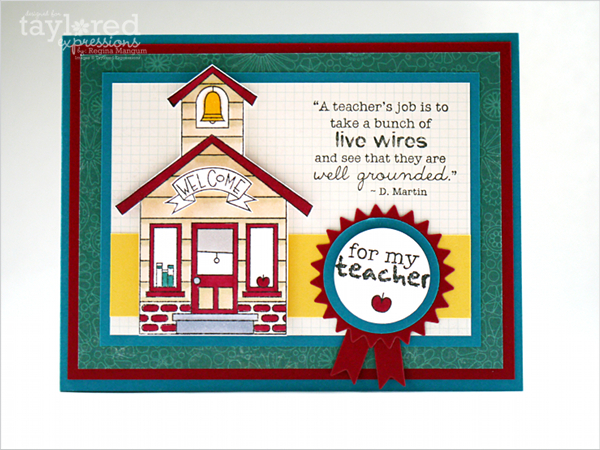 First up is a card I made to kick off the fast-approaching school year. My little guy is starting transitional kindergarten this year and his teachers at his school are terrific. 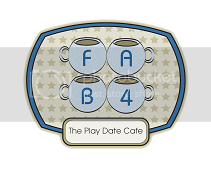 This set, which is part of the Adorable Abodes line, is absolutely darling. The schoolhouse is so sweet! 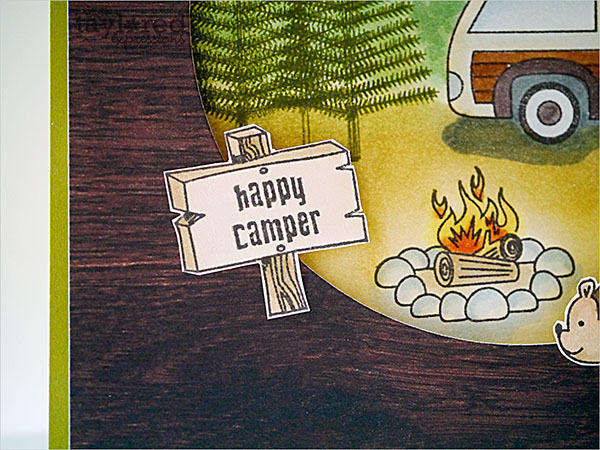 I added the Welcome banner from the set and fussy cut it out, popping it up over the doorway, too. 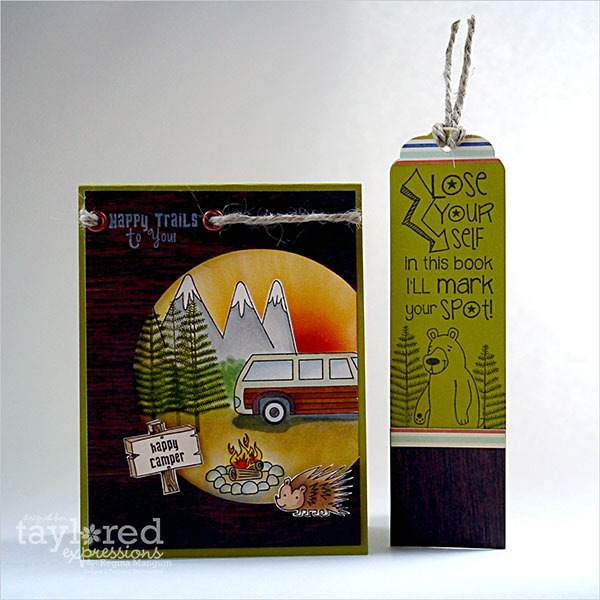 Next is a card and bookmark set I made for a friend of mine who is embarking on a fun road trip. She's a reader and I thought the bookmark would be a fun little send off for her. 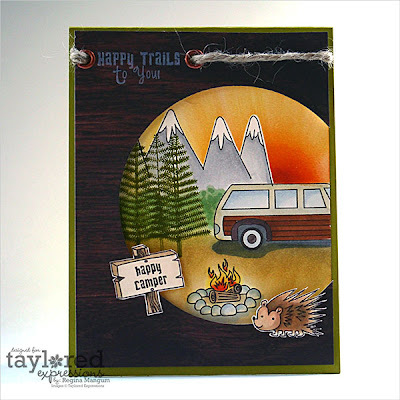 I created this little scene by masking and stamping with images from Happy Trails. 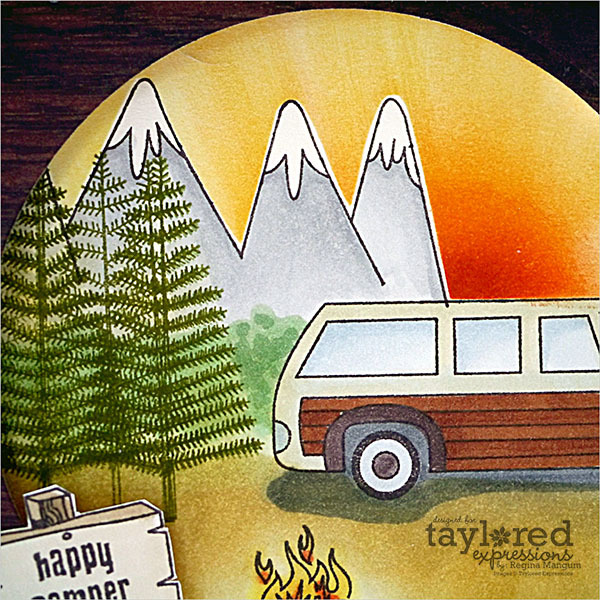 After coloring and sponging, I die-cut an off-set frame in some woodsy patterned paper. For the bookmark, I kept the wood paper theme and stamped a simple scene with the bear and trees -- isn't he cute? I left things flat so that she could use the bookmark to mark her place in her book. I hope you enjoyed my projects today. 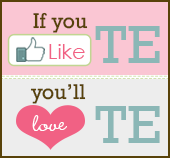 The TE Store is now open and these and all the other products we've been featuring this week are for sale, plus, there are a few fun specials. Don't forget to visit the rest of the Baker's Dozen for more Release Day goodness! 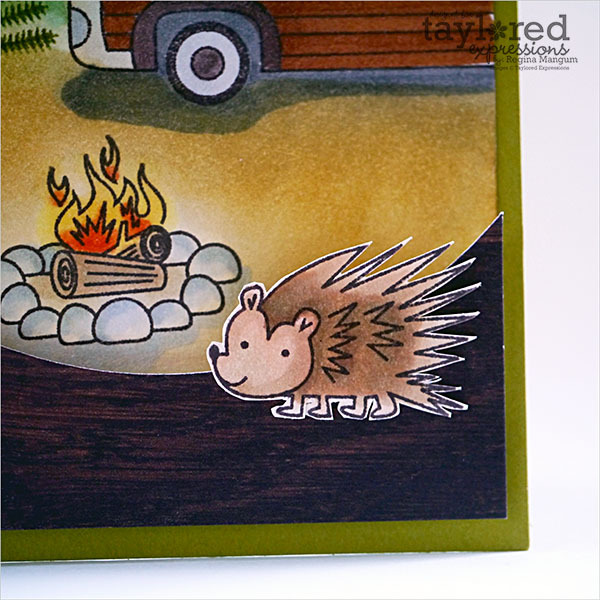 I love it all, but I am especially enamored with that wonderful sunset campfire scene! So rich and so much depth. Makes me want to book a trip right now! That was really cool! 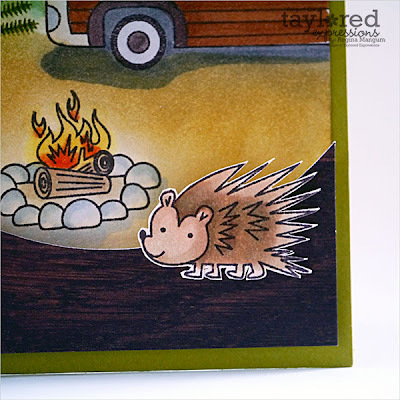 Those cards really reminds me on my camping trips with my family. I am really glad for this. Thanks!